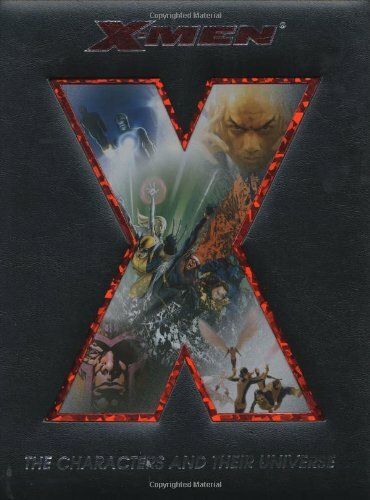 A fan's guide to the popular "X-Men" franchise traces the series' evolution from its creation in 1963 through its reemergence in the 1970s as a platform for political and social commentary, in an encyclopedic reference that includes character profiles, coverage of film and television adaptations, and classic storylines. Movie tie-in. Quality books, speedy shipping, and great customer service! Please note that used items may not include access codes or cards, CD's or other accessories, regardless of what is stated in item title. If you need to guarantee that these items are included, please purchase a brand new copy. guarantee that these items are included, please purchase a brand new copy. Books ordered via expedited shipping should arrive between 2 and 7 business days after shipment confirmation. Books ordered via standard shipping should arrive between 4 and 14 business days after shipment confirmation.